Quantum Pharma Plc has today been acquired by Clinigen Group plc, following the court sanction of the scheme of arrangement approved by Quantum shareholders. Our corporate team advised Quantum on the deal, which valued its share capital at £150m, making it one of the most significant plc deals in the region. The team has advised Quantum since 2009 on a series of multimillion-pound transactions leading up to today’s acquisition. Chris Rigg, Quantum’s CEO, who joins the Clinigen main board, said: “We are delighted with the service we have received from Muckle. They have worked closely with us to understand our objectives and have ensured that we hit every milestone throughout the deal process. 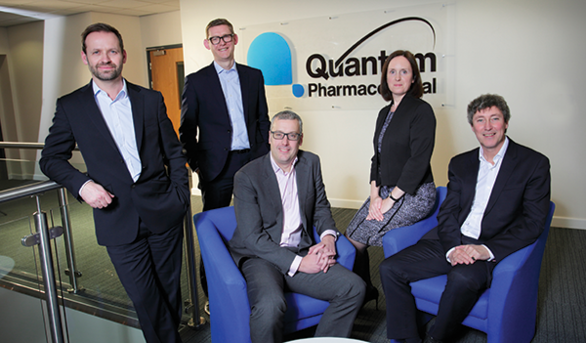 Craig Swinhoe, who has been appointed as managing director of Quantum Pharma, added: “When this transaction first came on the radar screen, we had no hesitation in deciding to appoint the team at Muckle to guide us through the complex takeover process. To find out how we can help your future transactions, contact Andrew Davison on 0191 211 7950.